Professional Mothering: How to make a large colored die. Step One: laminate 6 colored pages of your choice. 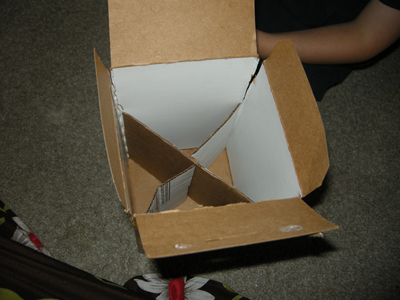 Step Two: Choose a square cardboard box to act as a die. 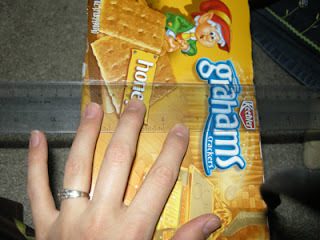 I found that a grahams crackers box was mostly square, and the perfect size. I strengthened my box by placing a cardboard “X” in the middle, as shown. I sized them the height I wanted, and cut slits in the box’s corners to match. Step Three: Use a ruler to fold the box at the desired height. This will help you fold the line straight and avoid unwanted creases. Step Four: Tape the edges down to make your basic cube. 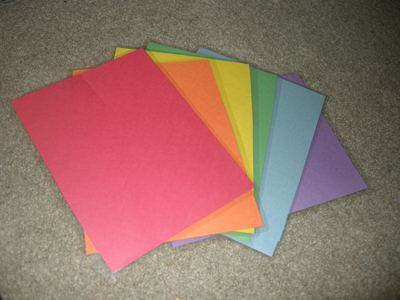 Step Five: Because the cube isn’t perfect, I traced each edge on the prepared colored papers and marked each corresponding edge on the cube. 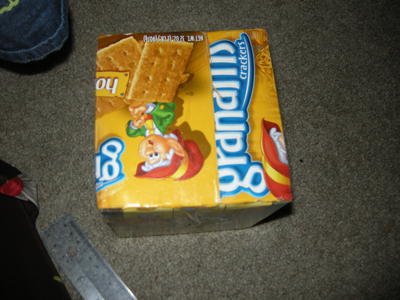 I then cut the paper out and taped them onto the box with clear packaging tape. There was a lot of clear-tape overlap, which is great as it makes the cube more durable and water-proof. 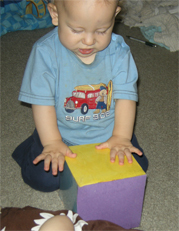 This cube can be used for lots of learning activities. Because each edge is laminated, you can tape anything you want to on the edges for temporary or quasi-permanent use. Be creative and have fun!